The outcome means Merkel faces the task of forming a coalition government with two new partners. Merkel’s main center-left rivals, the Social Democrats, slid to their worst result since World War II, projections showed. The party, led by Merkel’s challenger Martin Schulz, vowed immediately to leave her coalition government and go into opposition. The outcome puts Merkel on course for a fourth term as chancellor – but means that she likely faces the tricky task of forming a coalition government with two new partners. Merkel acknowledged that it would take time, but said that “we live in stormy times” and other parties should show responsibility. 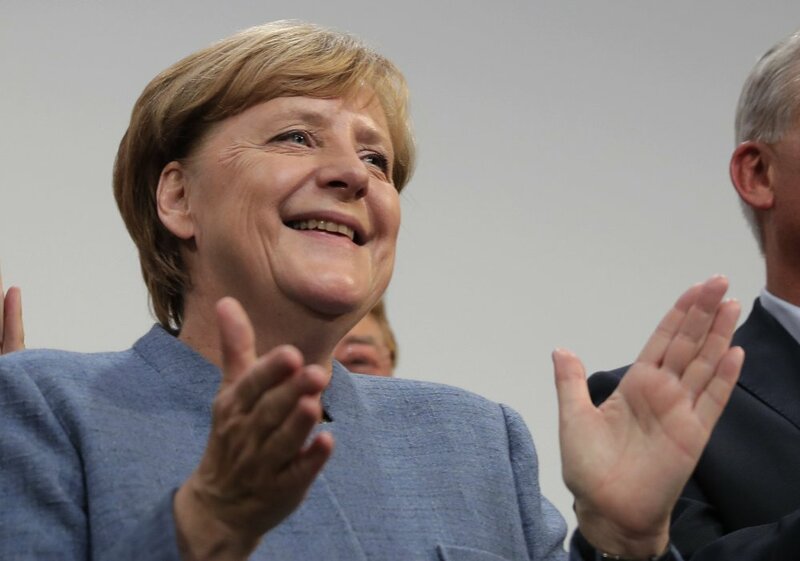 Projections by ARD and ZDF public television, based on exit polls and partial counting, showed Merkel’s Christian Democratic Union and their Bavaria-only allies, the Christian Social Union, winning around 33 percent of the vote – down from 41.5 percent four years ago. It was one of their weakest postwar showings. Schulz’s Social Democrats were trailing far behind, with just under 21 percent support. That would be the outright worst postwar result for the party, which has served since 2013 as the junior partner in a “grand coalition” of Germany’s biggest parties under Merkel. “We have a mandate to form a new government, and no government can be formed against us,” Merkel said. “We want to win back AfD voters by solving problems, by taking account of their concerns and fears, and above all with good policies,” Merkel said. Smaller parties were the chief beneficiaries of the erosion in support for Germany’s traditionally dominant parties – above all the right-wing Alternative for Germany, or AfD, whose support was just over 13 percent. Big cheers went up at AfD’s election party after exit polls showed them finishing in third place. Some supporters chanted “AfD! AfD!” and others started singing the German national anthem.